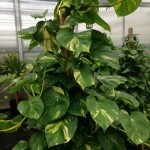 Another very popular and easy to grow plant that can be grown as a climber(on a totem) or trailer(in a pot or hanging basket). The key to growing these plants is again in the watering. It is easy to overwater in the winter which will result in yellowing leaves and rotten stems while the opposite is the case for spring and summer; its easy to underwater which will cause brown spots and brown edges. The key is to water liberally from spring to autumn and let the soil dry out slightly between waterings. Water sparingly in the winter. 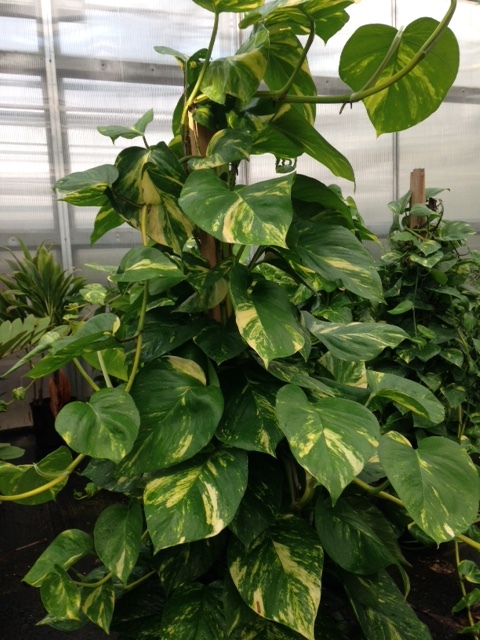 We carry three varieties of pothos: GOLDEN, MARBLE QUEEN & JADE.